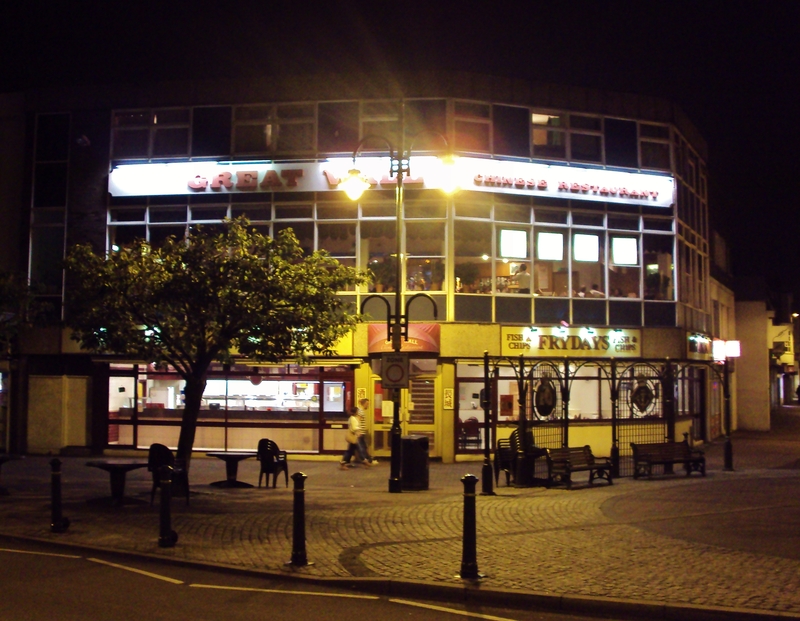 The Great Wall Chinese Restaurant, and Fryday’s Fish and Chips, Gosport. 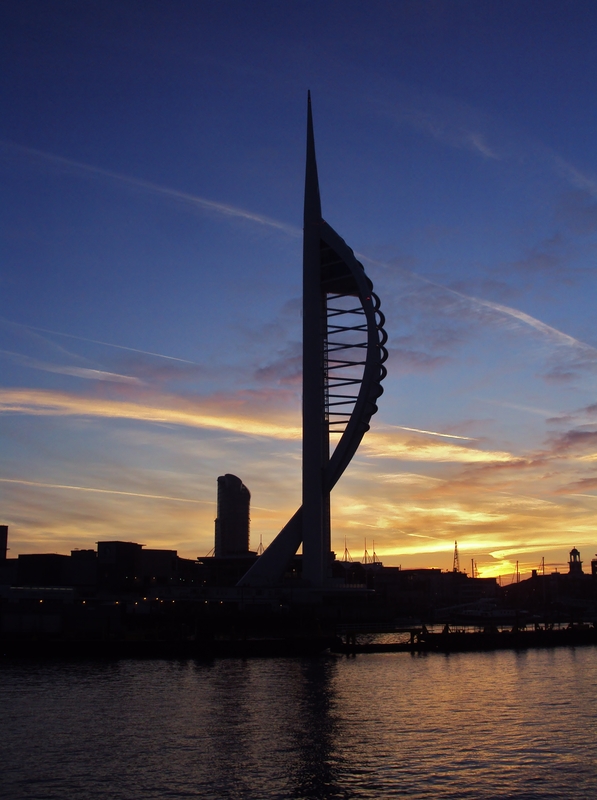 I’ve tickets for two gigs in Southsea next week: the wonderful Joan on the Monday, and a nostalgia trip with the Manfreds (once with Paul Jones et al) on the Thursday :). 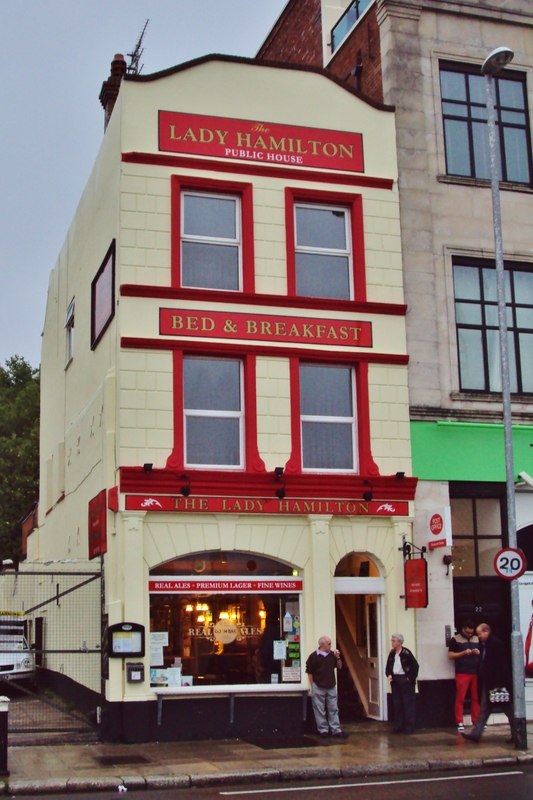 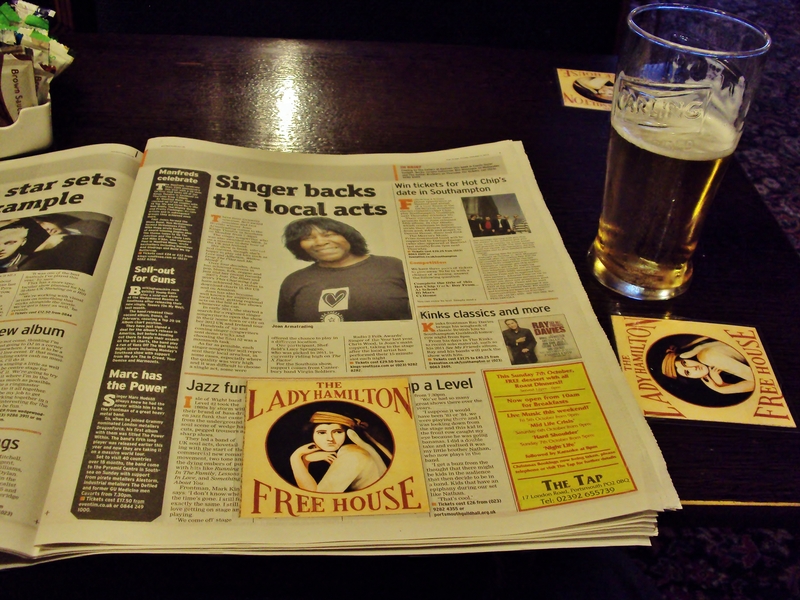 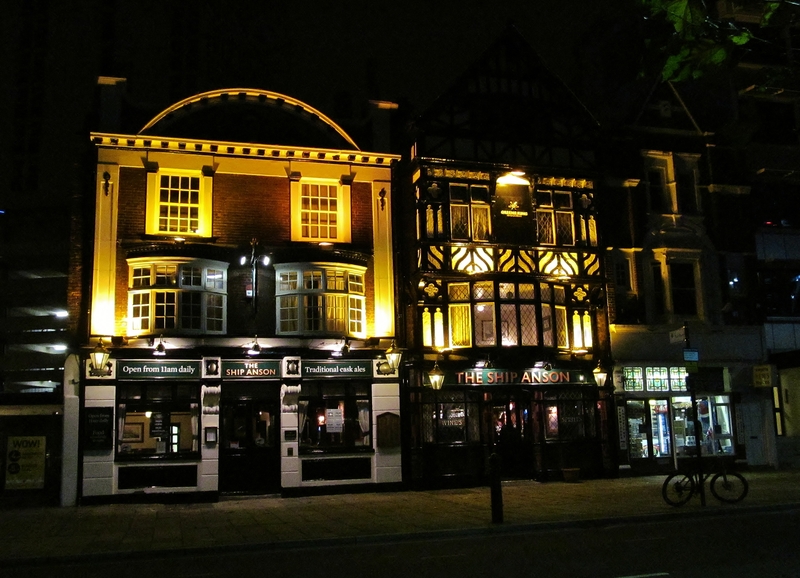 …and talking of singers, on my first visit to this pub, some two and a half years ago, I encountered a bloke in the bar who turned out to be the 80’s singer Adam Ant, who was staying upstairs in the B & B at the time ;). 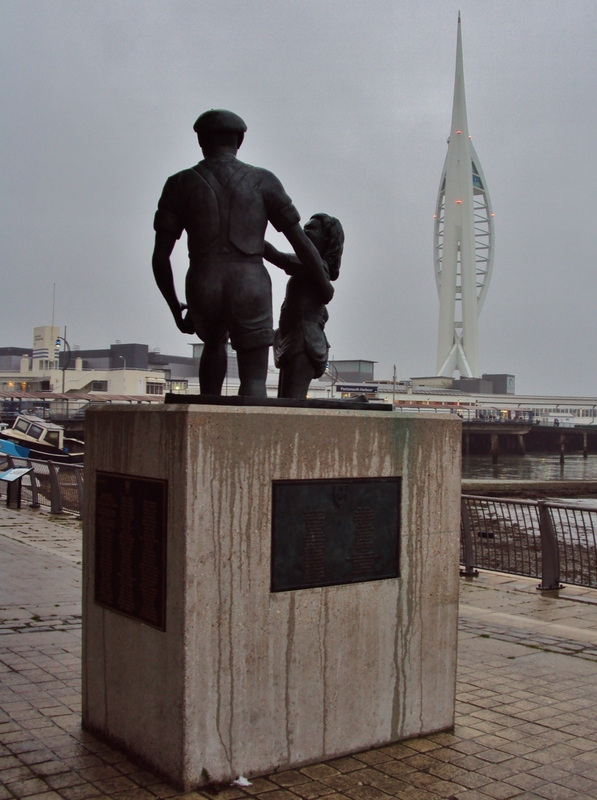 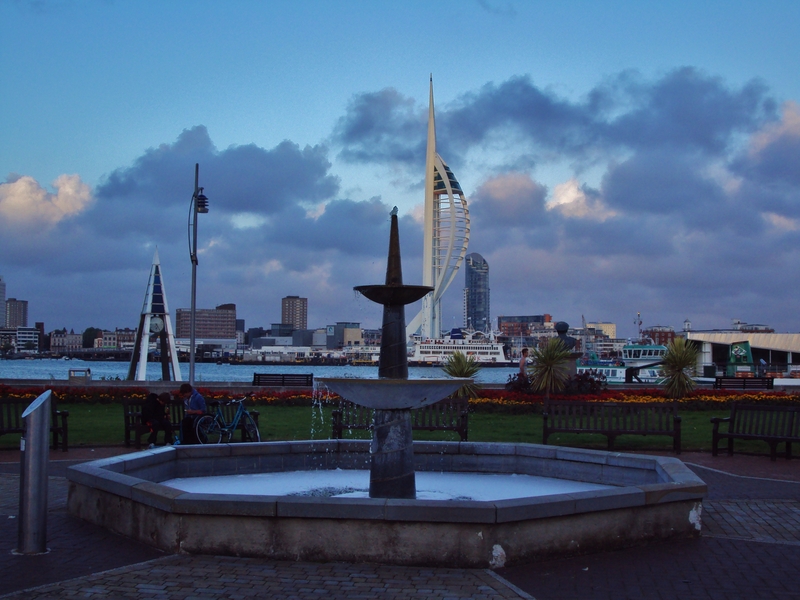 Waterfront statue at Portsmouth Harbour, with the Spinnaker Tower beyond. 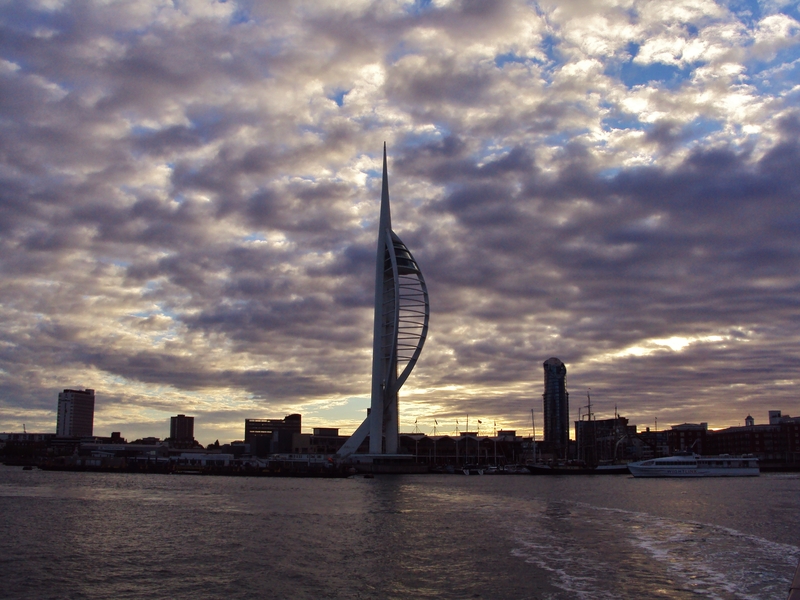 Taken at around five to seven this morning, from aboard the Gosport Ferry. 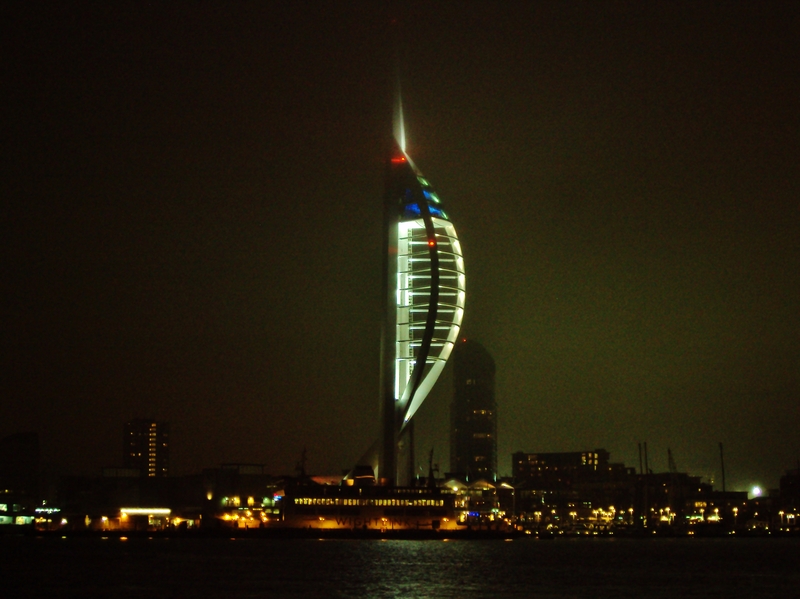 Taken through the ‘Spirit of Gosport’ ferry’s window, around half-seven this evening. 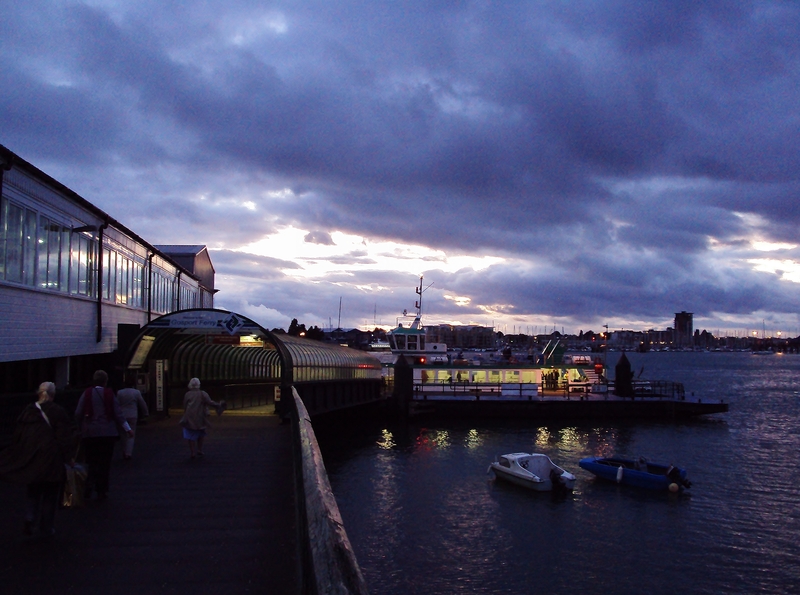 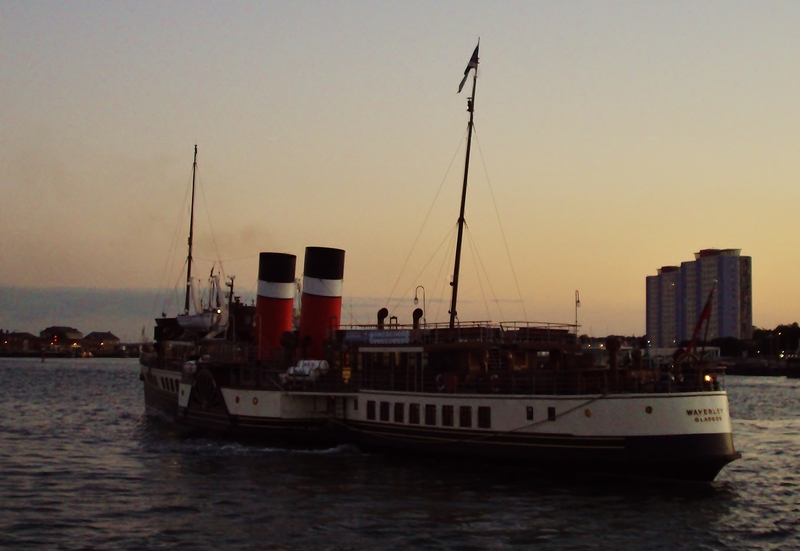 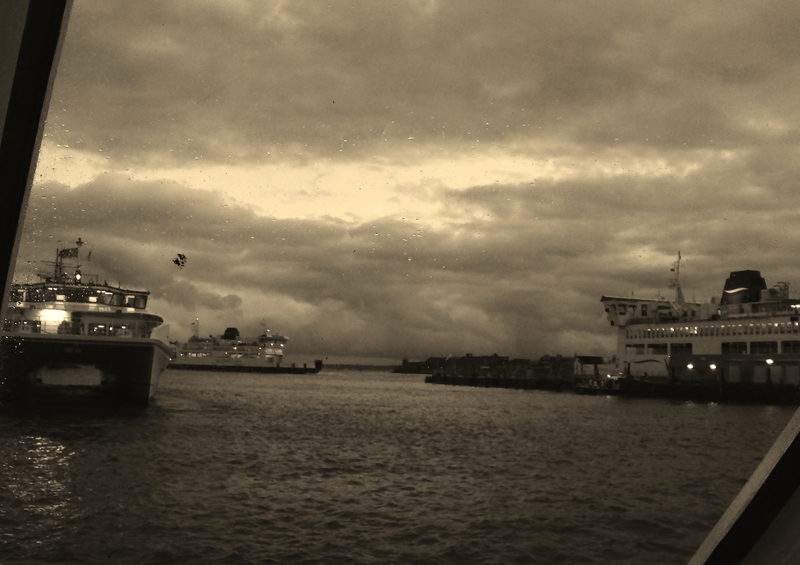 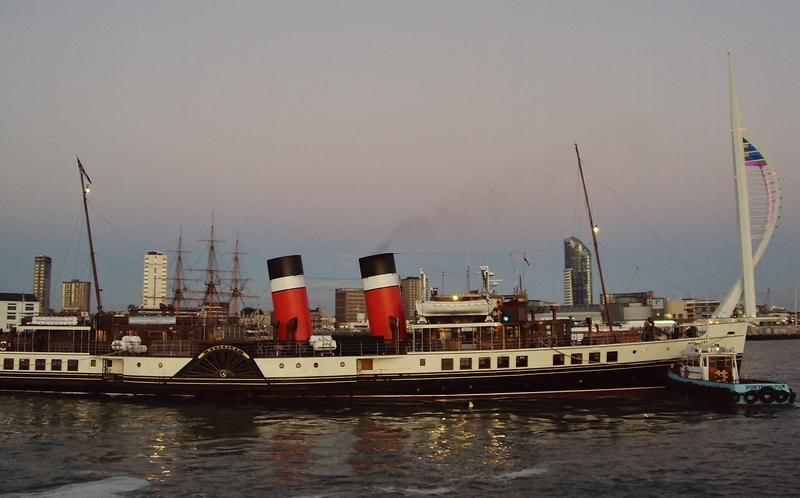 Passengers hurrying to catch the ‘Spirit of Gosport’ ferry at Portsmouth Harbour early this evening. 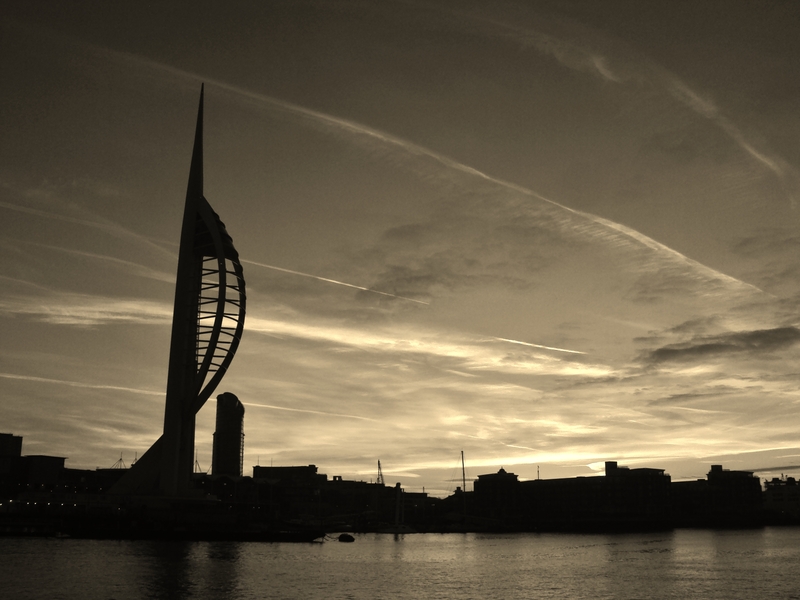 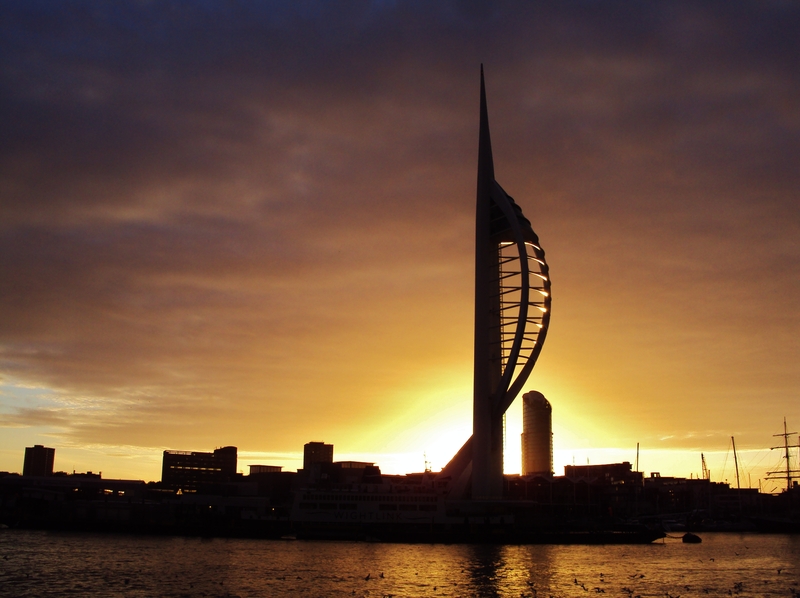 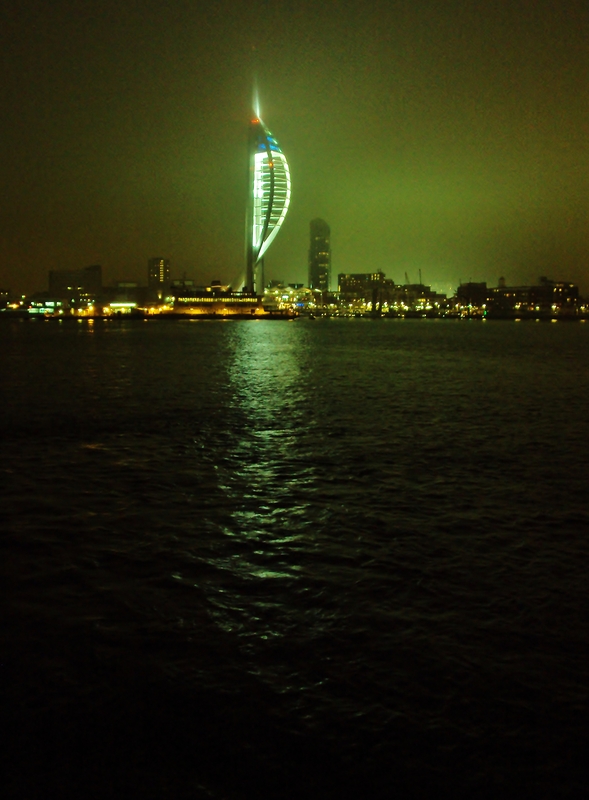 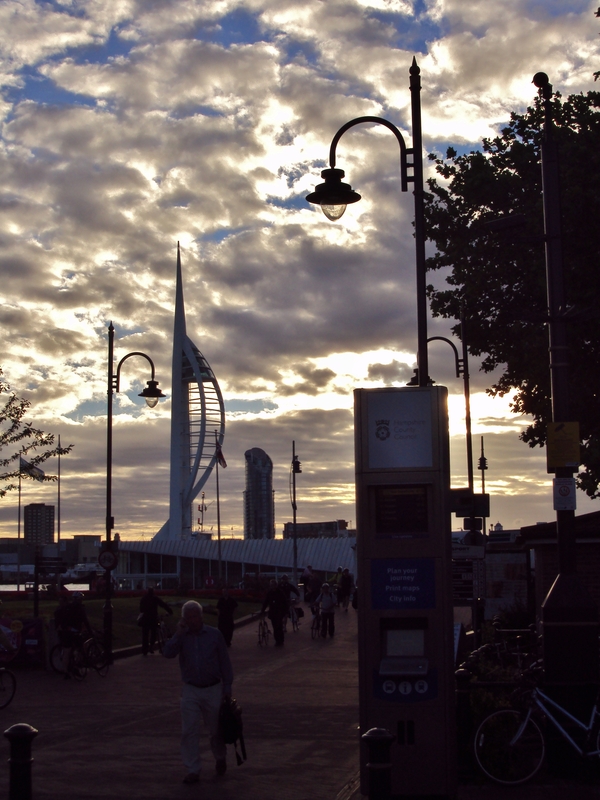 The Spinnaker Tower….Portsmouth waterfront, from aboard the Gosport Ferry. 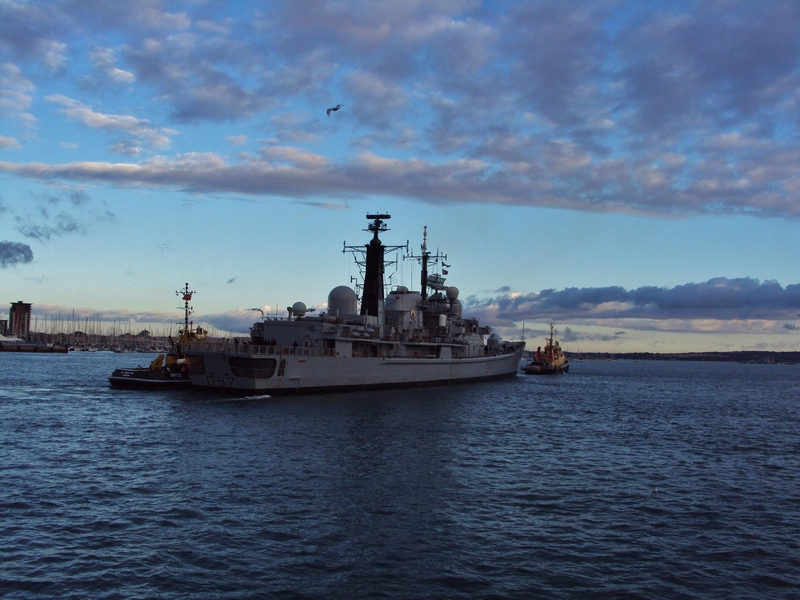 HMS Edinburgh, a Type 42 destroyer…returning to her home base, Portsmouth Harbour. 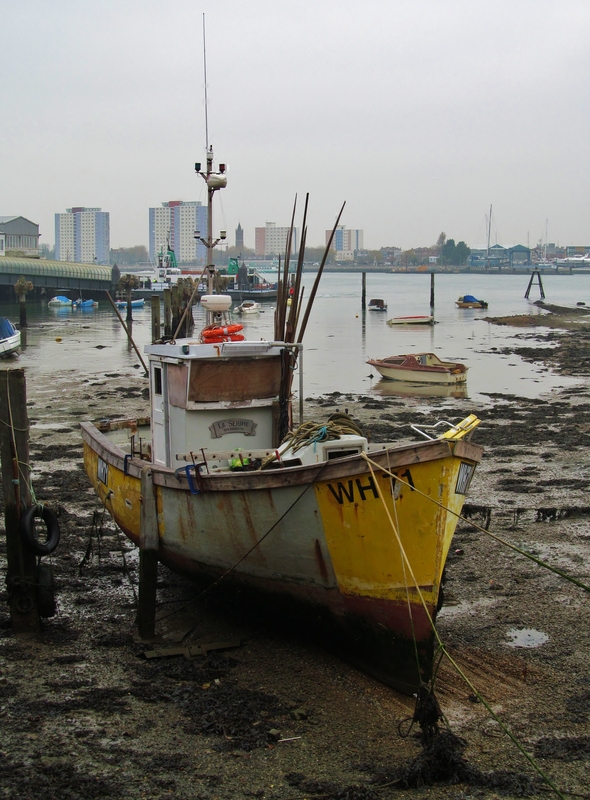 Back on dry land in Gosport. 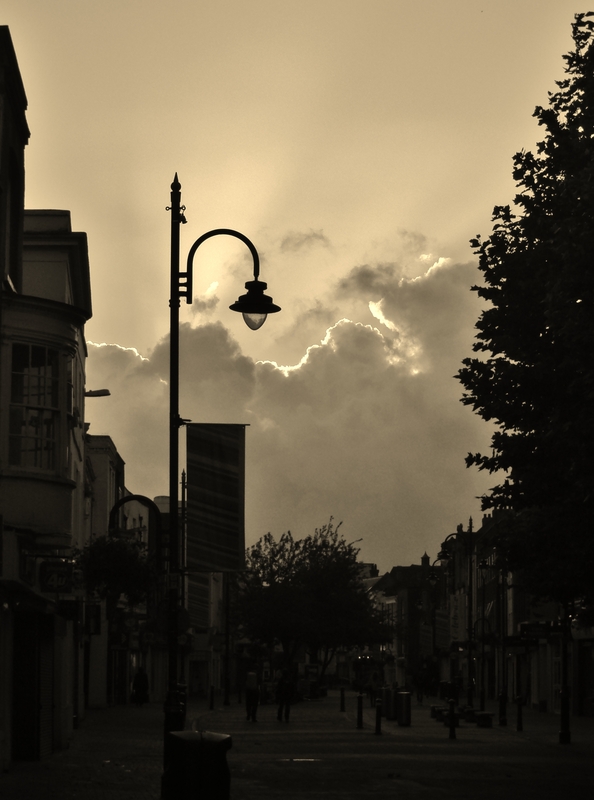 Gosport High Street…with the sun going down.. 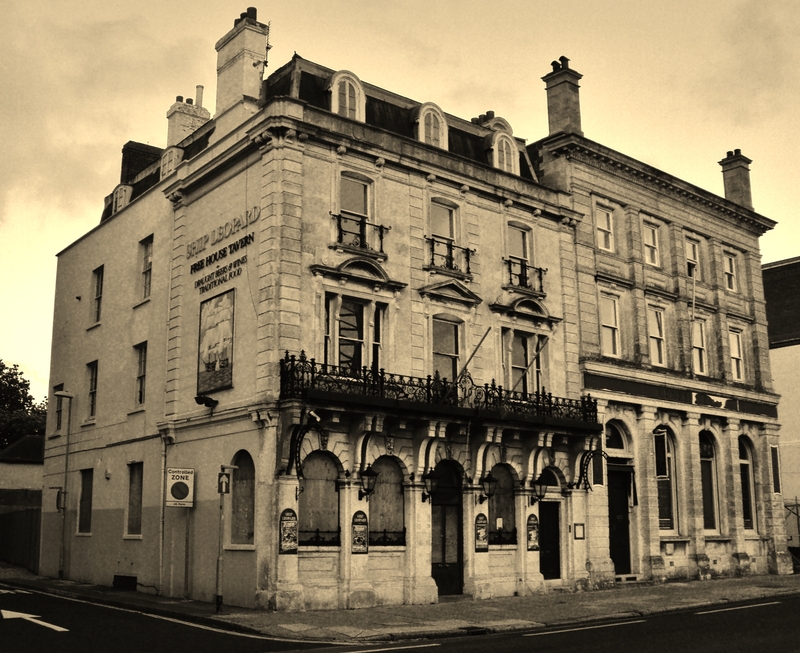 The Ship Leopard, an abandoned pub on Portsmouth Hard. 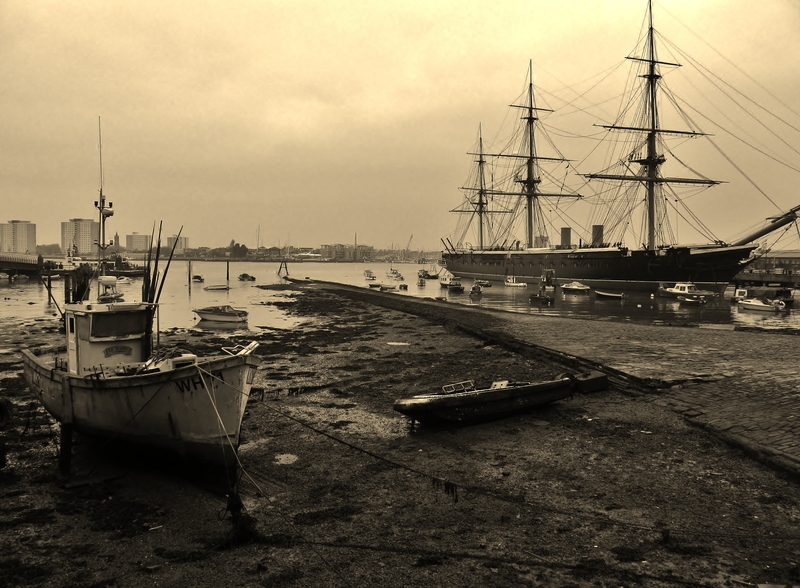 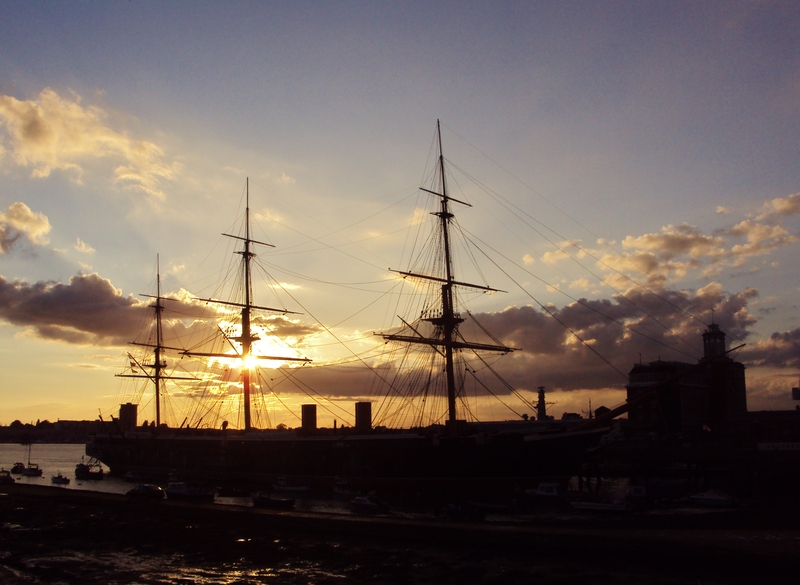 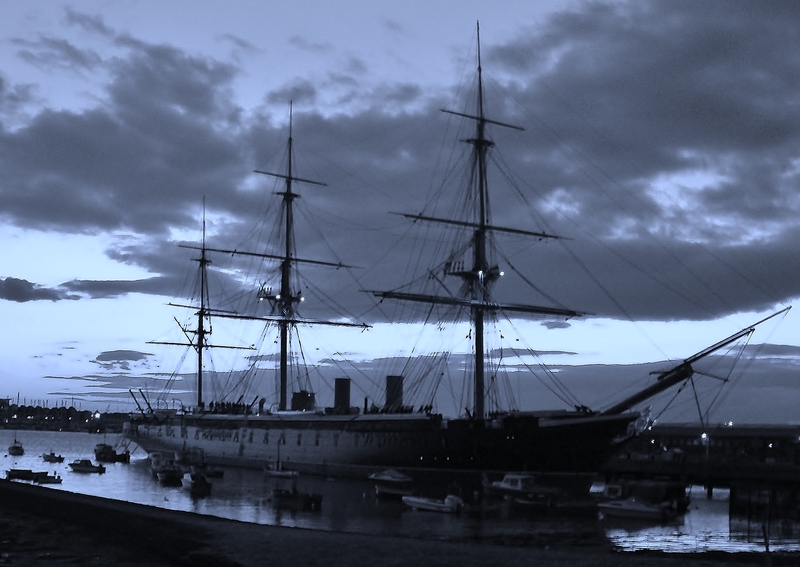 HMS Warrior, with the sun about to set. 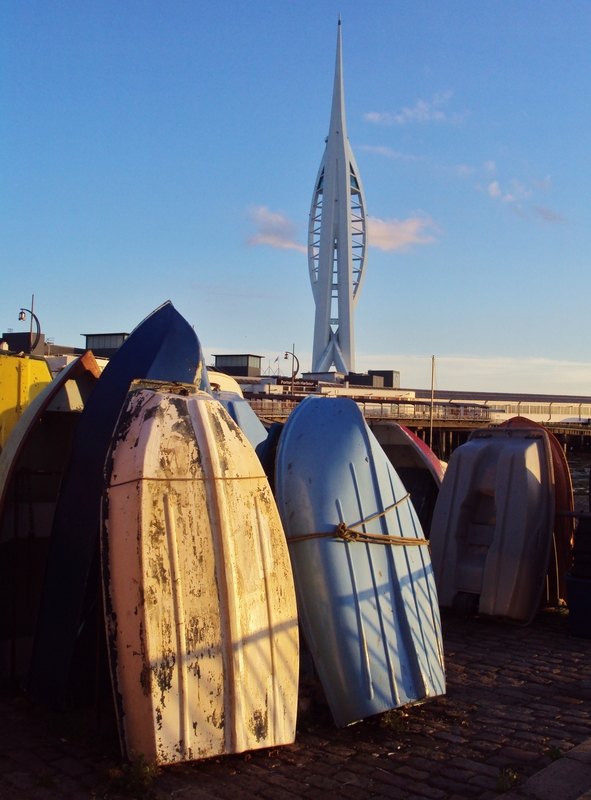 Boat hulls, and the Spinnaker Tower. 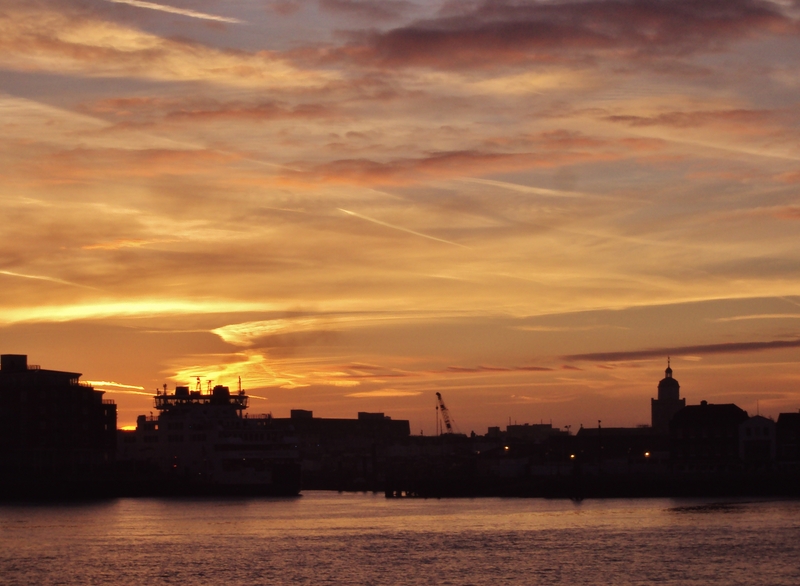 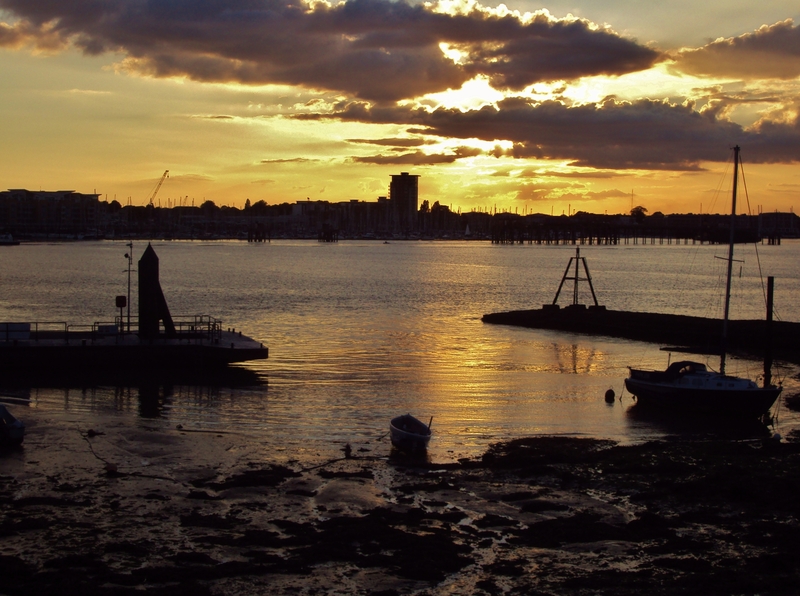 Harbour sunset, with Gosport on the horizon.